We all love trends and the world of SEO is full of them. In this article we’ll talk about what marketers are spending their money on, content, and social media trends. If projections hold true, the results from the Moz Industry Survey reveal that Digital Marketers will have increased budgets in 2014. According to ExactTarget, 73% of those surveyed are currently using SEO/SEM in their marketing efforts and 71% are using some form of Content Management platform, says Moz. Marketing Automation will take up most of marketer’s budgets this year. Moz recommends HubSpot. It’s easy-to-use and walks you through everything. Content is still and will always be king, but marketers most common complaint is that they do not have enough time to write it. Data from CMI indicates 49.5% of Marketers don’t have a documented content strategy and are challenged with producing engaging content. The first step in the right direction, says Moz, is developing a strategy. Once you have a plan, you are one step closer to writing content specifically tailored to the group or community you want to reach. Your next step is to create a list of topics and a schedule for the posts. Believe me, schedules will become your best friend. Facebook continues to be the Social network of choice for most Internet users. According to PEW Research Center, Facebook continues to have the highest frequency of Social Media site use with 63% daily visits. But Facebook won’t work for everyone and it all depends on your target market. For example, if you are primarily targeting a female audience, Pinterest will be your go-to social media site. According to a survey from Pew Research Center, one third of women in the U.S. use Pinterest. Pew Research Center says that 90% of all Americans own a phone; 58% of which are smartphones. Of those, 63% mostly use their phone to access the Internet. What does this mean? Make sure your website is responsive. 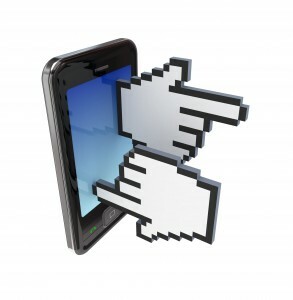 Mobile users don’t want to wait and they’ll axe your site if they have to wait longer than a couple of seconds.